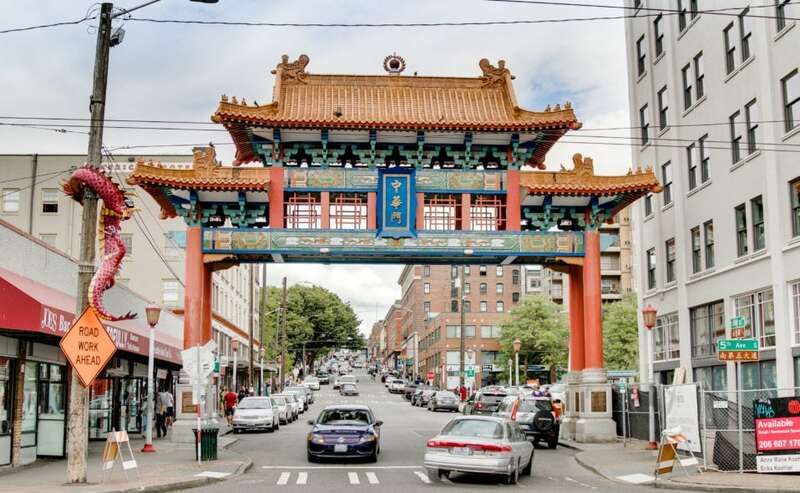 The International District is a patchwork of several communities founded by immigrants from Asia in the late 19th and early 20th century, including Nihonmachi, Chinatown and Little Saigon. Among scrappy dim sum vendors and boba tea cafes, you'll find cultural treasures that record the history of immigration, Japanese internment, riots and triumph, including the Wing Luke Museum, Kobo at Higo and Panama Hotel. The International District light rail station is the southern end of the downtown transit tunnel and resides next to the historic Union Station (which at this point is akin to a quiet, gorgeous indoor park). Its proximity to Pioneer Square means its just blocks away from the center of Seattle's art gallery community, more restaurants and nightlife, and of course the ferries to the islands across Elliot Bay. The Seattle Streetcar connects the ID with Squire Park, First Hill and Capitol Hill. In short, it's an ideal spot for commuters as well as those who like living in a historic neighborhood with easy access to Asian food and culture, as well as the arts and nightlife. Kobo at Higo: An historic shop that sells arts, crafts, stationery and decor with modern and traditional Japanese aesthetics. The Panama Hotel Cafe: The Panama Hotel is a registered National Treasure and its cafe offers tea, coffee and Japanese sweets. Kobe Terrace Park: Winding stairwells and paths, community gardens and cherry trees, it's a beautiful spot for a walk year-round. Maneki: Seattle's oldest sushiya (over a century old now) remains one of its most affordable and popular. Kaname: A great izakaya with a tasty happy hour and dinner menu, and a full bar specializing in shouchu cocktails.